Greece’s Prime Minister Alexis Tsipras promised the government wouldn't pass any new austerity measures as talks with bailout lenders have stalled over their demands for deeper cuts. “There is no way we are going to legislate even one euro more than what was agreed in the bailout,” Tsipras told Greek daily EfSyn (Efimerida ton Syntakton), marking his two-year anniversary in office. “The demand to legislate more measures, and contingent ones, no less, is alien not just to the Greek Constitution but democratic norms,” said the Prime Minister. He urged European Union leaders to help Greece's economy recover from years of recession, arguing it would make the union stronger. 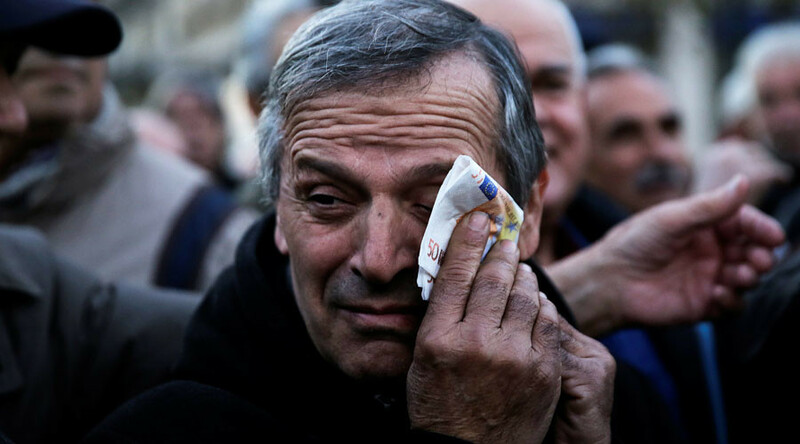 Crisis-torn Greece agreed to austerity measures, including overhauling the pension system and unpopular tax measures, as part of the bailout deal the country sealed with international creditors in August 2015. Under the terms of the agreement, Athens has received about €32 billion of the €86 billion bailout program. It’s the country’s third bailout agreement since 2010. The eurozone finance ministers will meet on Thursday to discuss Greece’s bailout review. EU lenders want the country to achieve and maintain a primary budget surplus of 3.5 percent of GDP beyond 2018. However, the International Monetary Fund (IMF) says that’s too optimistic and calls for more austerity. The surplus will only reach 1.5 percent, says the IMF, insisting Greece needs to cut the income-tax threshold and pensions to meet the target. Athens instead proposed to extend a fiscal contingency mechanism already in place until the bailout expires in 2018. The mechanism automatically triggers unspecified spending cuts if bailout targets are missed for an additional year to 2019. A European Union official told reporters on Wednesday that the eurozone finance ministers need to close the bailout review by February 20. After that, EU governments will have their minds on a series of elections, so it will be hard to take any significant decisions on Greece.